There is a trophy here at Rustici — the Donnelly Cup. Reserved for the lowest rung on the ping-pong ladder, the Donnelly Cup serves as a reminder to the owner that there is always room for improvement. The Cup changes hands often, and currently resides in Joe’s office. Joe prominently displays the trophy and will challenge anyone to a duel to share its inspiration. Another trophy also appeared at our offices recently —SCORM Cloud earned a Gold Medal in the Brandon Hall Excellence in Learning Technology Awards for Best Advance in Social Learning Technology. When we capture a gold medal we like to celebrate, and we’d like to say “thank you” to Brandon Hall and our fellow winners. We are in good company on a list which includes many of our customers. What’s even more exciting than our new bling are the possibilities that SCORM Cloud offers to advance social learning technology. It allows you to turn virtually any online platform into a track-able learning environment. Whether it’s using the pre-built WordPress plugin to turn your blog into a full blown training source, or developing your own app on top of our API, SCORM Cloud allows you to bring learning to where learners live. So while the Donnelly Cup recognizes the potential for ping pong greatness, we see similar opportunities with SCORM Cloud to inspire new applications within eLearning. 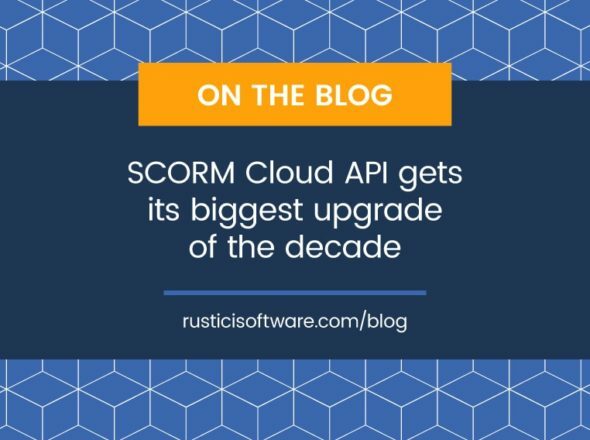 If you have an inspiring use of SCORM Cloud, share it with us or let us know what you’d like to see it do next.